Kendall and Kylie Jenner may have pulled all offending merchandise from their social media and official website after both The Doors and the estate of hip hop artist Notorious B.I.G. slammed them with brutal cease-and-desist orders, but that’s not stopping the flow of people taking them to task! Ouch! 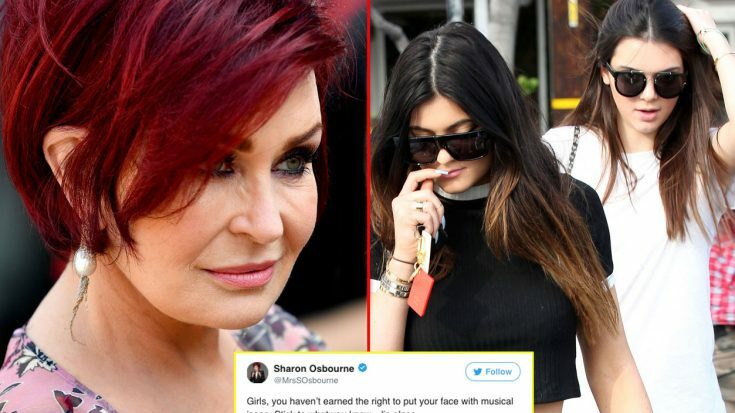 Not long after, Kendall and Kylie issued identical statements apologizing for their poor judgment and despite offering up high praise for the artists whose work they co-opted for their own benefit, it looks a lot like they’ll be following Sharon’s advice and doing just that: sticking to their budding makeup empires.